At Heatmaster, we understand that every home has a personality of its own. Therefore we take pleasure in introducing a range of open wood fireplaces to you which suit the ambience of your Kew home just right. 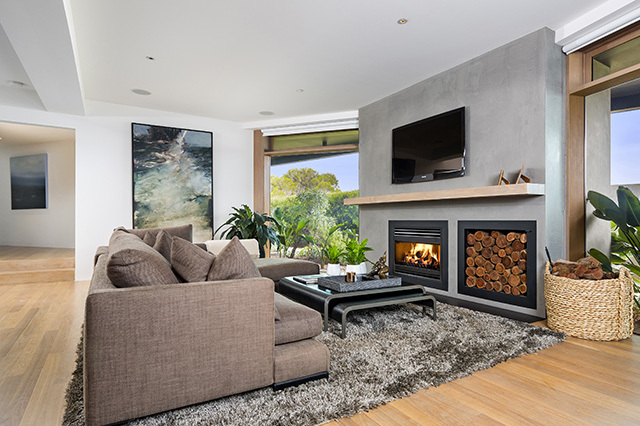 We are proud to announce that our wood fireplaces are one of the only fireplaces with the prestigious Australian Design Award. So, take the freedom to site our award winning and exceptional fireplace almost anywhere in your serene home. Transform and add flare to your living space with our wide variety of stylish options, whether you are after the traditional or a more modern wood fireplace appearance. Add more styling to your new attraction by choosing from our extensive range of decorative fascias, and mantels, and then add a stylish fire screen and cowl to complement the look. With the independence to create almost any luxurious look for your home, you are sure to find the right designs and accessories for your Kew home. Our two different installation methods mean you can site your open wood fire place wherever you like. Keep your interior design clean without the hassle of adding new brickwork to complement the new fireplace with our ‘A series’ fireplace design. Our ‘A series’ design with ‘zero clearance’ can be installed anywhere in your home, even if it’s right next to wood or plaster. Or you can slot your new wood fireplace right into your existing chimney with our “B Series” fireplace designs. These fireplaces will fit right into your existing insulated fireplace without a hassle because of their uninsulated design. 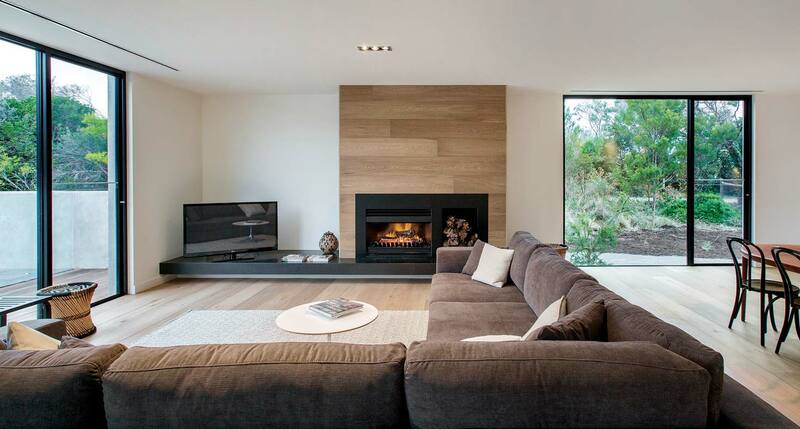 Heatmaster open wood fireplaces are build to dazzle your interior as well as your outdoor living area. Transform it into ultimate luxury by adding our outdoor fireplace. Please make sure the wood fireplace is protected from the Australian weather for optimum usage. You will experience 8 times more efficiency with our 5 sided heat exchange systems. Moreover, it is extremely easy to clean your new fireplace due to the removal ashtray installed. 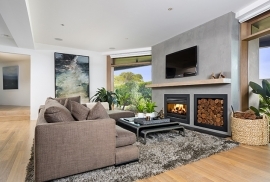 It’s important to note that these locally manufactured fireplaces created to suit local weather are a great example of Australian brilliance. You will only find such excellence in the Heatmaster’s range of fireplaces. 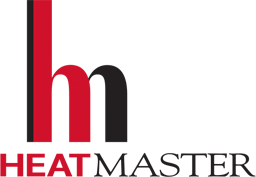 Visit your local distributor, or contact us today for more information on the range of wood fireplaces available at Heatmaster.